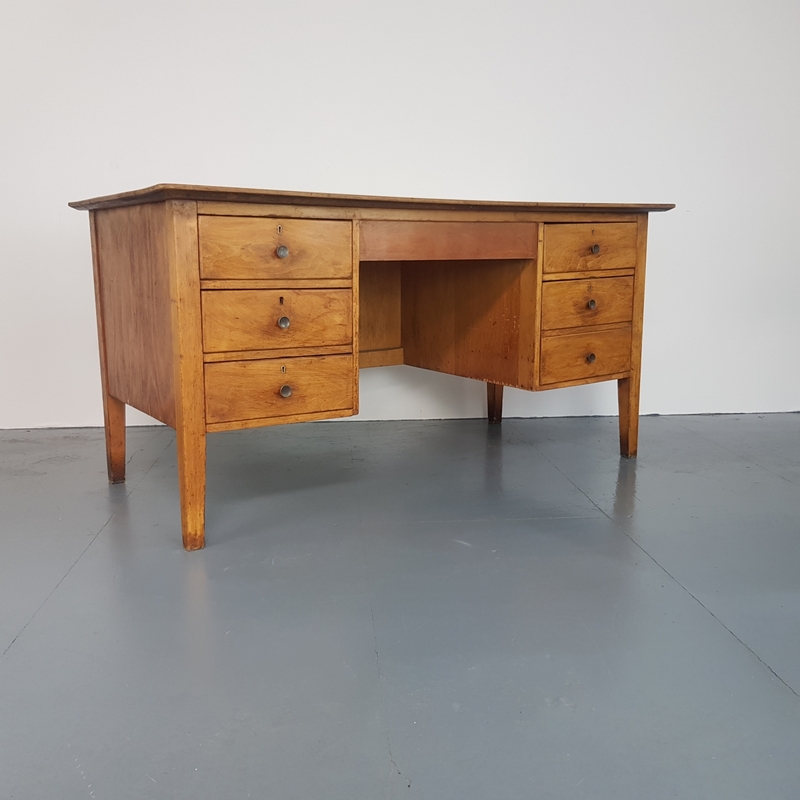 Vintage Beech 1950s teacher's desk. Double pedestals with 3 drawers on each side. In vintage condition - this piece comes from a school and as such, has signs of wear and tear commensurate with age i.e bumps, scuffs etc, all adding to the character of the piece.